« Howdy Pardner! It’s Stick ‘Em Up Friday for December 2nd ~ List All Your Giveaways Here! It's delightful to see that we as consumers are becoming more educated about the current plight of our planet. For far too long, we've treated the Earth like it had an unlimited supply of bounty to give us. Now, we're quickly learning that if we don't do our part to be more considerate and caring to Mother Earth, we might all go down in flames together. The Ultimate Green Store makes it easy to support a more eco-friendly and environmentally conscious lifestyle through our purchases. They carry products from many of the world’s leading manufacturers and designers of sustainable, natural, organic, recycled, eco-friendly goods- products that are made with your health and the health of our planet in mind. 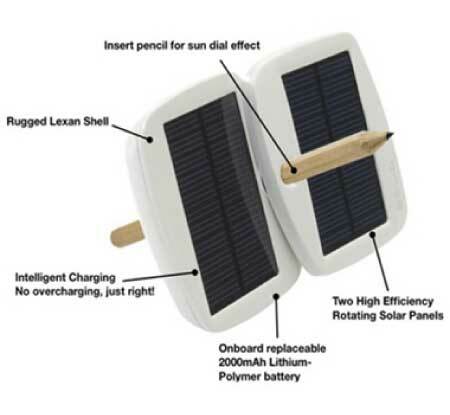 I recently had the chance to review the Solio BOLT Solar Charger. Keep reading to learn more! I reviewed the Solio BOLT Solar Charger from The Ultimate Green Store, which retails for $69.95. Receive FREE SHIPPING on any order over $50 with coupon code "TUGSFREESHIP"
As the ultimate web-based destination for eco-conscious shoppers, The Ultimate Green Store provides a collection of many of the finest environmentally friendly products for you, your home, office, kids and even your pets! You will find that shopping green is hardly a sacrifice. Quite to the contrary, you will find beautiful, cool, hip, colorful, fun, effective, beautifully smelling, quality products that stand on their own. Since we live in such a technologically-based society these days, I've grown quite accustomed to having my email, Facebook, Twitter and internet access always available, no matter where I may be. Of course, the one thing that technology hasn't quite caught up with yet is how to keep our gadgets' batteries charged so that we won't have to experience being out of commission, thanks to a dead battery. Well, The Ultimate Green Store opened my eyes to an innovate and eco-friendly solution for charging your electronic devices' batteries...solar energy! 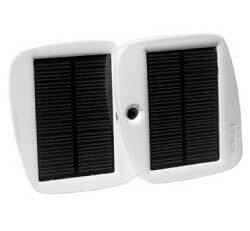 :star: The Solio BOLT solar charger is your perfect companion, keeping you online and in-touch while on the go. With an onboard battery and rotating solar panels, the Solio BOLT charges popular USB powered gadgets from your smartphone to mp3 player, to your e-Reader, GPS and camera. 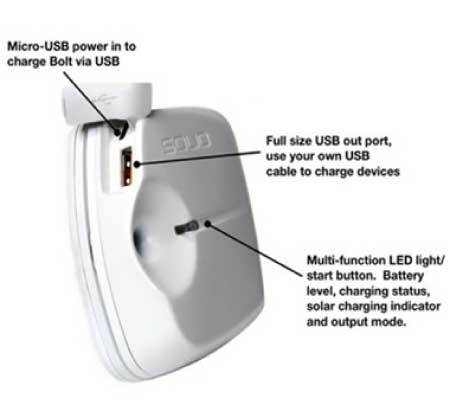 Simply connect to the Solio BOLT using your device’s own USB charging cable. Holds a charge for up to a YEAR. The BOLT will give most smartphones two+ complete charges! Charge the BOLT from the sun, USB port, or the wall. Includes a Micro USB to USB Cable for charging the Bolt via USB port/USB port wall adapter. It can also be used as a charging cord for Micro-USB devices! Also includes a Pencil - Insert the pencil through the center of the Bolt, to easily prop towards the sun. So whether you need more juice to listen to that one song again, check in with a loved one back home or just update your status...the energy from the sun and the Solio BOLT will keep you connected! If you're looking to make your Christmas a little "greener" this year, then by all means, make sure to shop the huge selection of eco-friendly products for the home, babies and kids at The Ultimate Green Store. 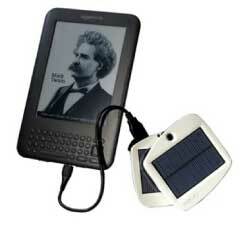 Disclosure: I received the Solio BOLT Solar Charger from The Ultimate Green Store in order to facilitate my review. No other compensation was received. This product review is based on my own personal experiences with this item and is completely honest and objective.